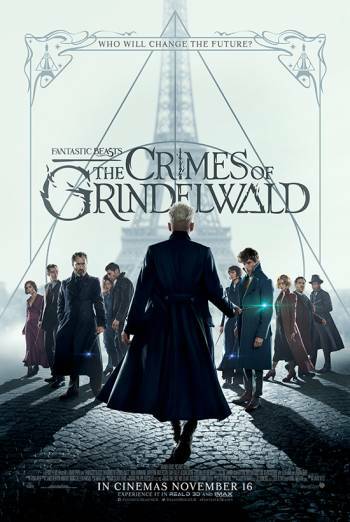 Summary FANTASTIC BEASTS: THE CRIMES OF GRINDELWALD is a fantasy adventure film in which a dark wizard hatches a plan to subjugate all non-magical beings. FANTASTIC BEASTS: THE CRIMES OF GRINDELWALD is a fantasy adventure film in which a dark wizard hatches a plan to subjugate all non-magical beings. There are some intense sequences in which characters are threatened by dark forces or large roaring monsters. There are scenes portraying the deaths of children, but these are either implied or depicted without strong detail. The film also includes occasional very mild bad language ('hell', 'jeez').